What is the difference between IBM Bigfix Inventory 9.5 & IBM Bigfix Life Cycle 9.5 License? 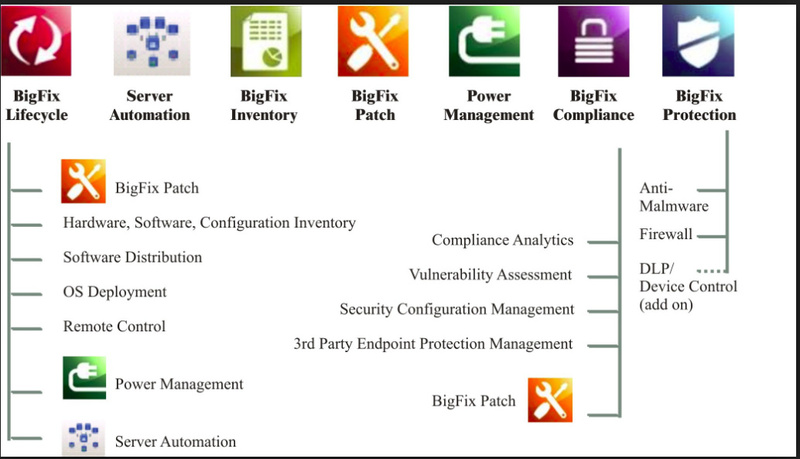 What are the Components getting covered Under IBM Bigfix Inventory 9.5 & IBM Bigfix Inventory Life Cycle License? Whats is exact difference between IBM Bigfix Inventory 9.5 & IBM Bigfix Lifecycle 9.5 License? We have Procurement record of 25 K license of Bigfix inventory 9.5 & 25K licenses of IBM Bigfix Life cycle 9.5…so can i say that i can use Bigfix on 50K client devices?? Please help if you can…Your help will be appreciated. Components are covered as per below module screen shot and IBM Bigfix Inventory is used for inventory purpose that’s licence is different for lifecycle. Take a look at the License Overview Dashboard in the BigFix Console, you’ll see the three components that are shared between Lifecycle and Inventory:BES Asset Discovery, BES Inventory and License, and Maas360 Mobile Device Management. Theoretically, you could use the licenses in the manner you’re describing, but you could not use the features and functions of BigFix Lifecycle like Patch, Software Distribution, OS Deployment, Server Automation, on the 25K machines with only a BigFix Inventory license. This approach doesn’t make much sense to me. Instead, it seems likely that you have 25K machines, with each machine being licensed for both Inventory and Lifecycle. While BigFix Inventory is not shown as a separate Domain within the Console, and is instead subordinated to the BigFix Lifecycle Domain, it is still licensed as it’s own product within the BigFix family. If we have License of IBM Bigfix Inventory for 25K client devicess then do we need to Procure IBM Bigfix Life cycle license for the same 25K devicess those are already licensed by Bigfix Inventory license? Yes, if you wish to use any features of BigFix Lifecycle on the 25K clients licensed for BFI. For instance, if you want to use Software Distribution to manage the installation of software on those clients, they would need a Lifecycle license.